January February and March are the most exciting months of the year for seekers of different bio luminescent organisms, however glow worms shine all year around. 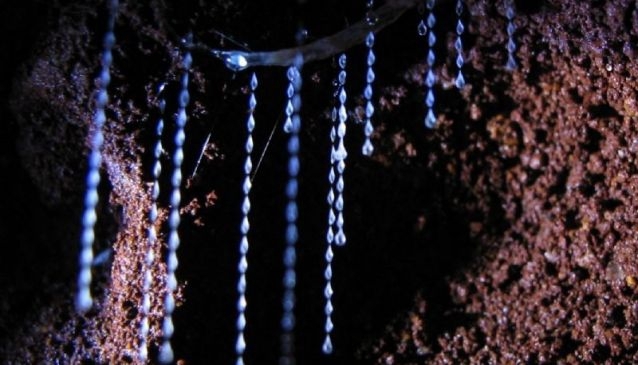 The Glow Worm Centre is fortunate to have the most spectacular and best protected privately owned natural environment colonies of glow worms on the Springbrook plateau. They are out in the open on 5 to 10 metre high vertical rock walls, exactly as Mother nature intended. A brief overview of the tour is held in the display area of the Centre before the guided night tour begins. The tour takes around one hour and starts at the earliest time of the night - which for most of the year is 7.30pm - to minimise disturbance to the glow worms feeding time. Torches are not needed but please be aware that closed in flat shoes are a requirement. A raincoat and/or umbrella is also advisable as Sprinbrook is a very wet area. Bookings are made online. Payment is made at the Centre before you commence the tour. No credit card or eftpos facilities are available. Tour starts 7.30 pm and finishes at approximately 8.30 pm.